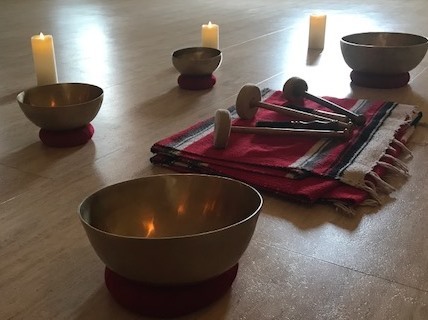 The Calling Bell is an interactive performance piece created by Autumn Turley and Danny Joseph, deeply influenced by their residential training at the Monastic Academy in Lowell, VT. It draws upon the work of their teachers Soryu Forall and Shinzen Young. Mindfulness practice, movement, and music will be our mediums of exploration. Guided meditation will invite you to explore hearing and feeling as a spiritual practice. The music is designed to take you down a path of ambiance, rhythm, and melody. We will interact with the music from our bodies, whether in movement or in stillness.